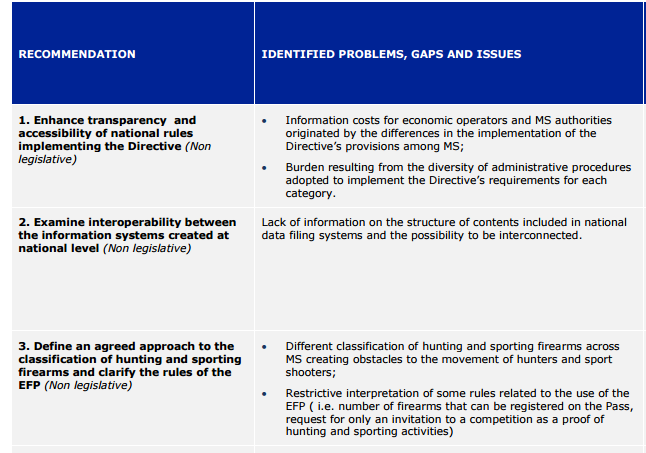 As you know, in light of the reeent terrorist attacks and the security challenges the EU is encountering today,the European Commission proposed, on 18 November 2015, a revision of the Firearms Directive (Directive 91/477/EEC as amended by Directive 2008/51/EC) to reinforce its security aspects in order to tackle these challenges.This proposal is based on the conclusion of 3 studies the European Commission has recently conducted evaluating all provisions of the Firearms Directive.The Commission presented a report on the implementation of the Directive on the basis of these studies to the European Parliament and Council together with the proposed measures to the Firearms Directive to address the identified gaps.This report notably indicates that over the last decade, 10 000 homicides have been committed in Europe with firearms. 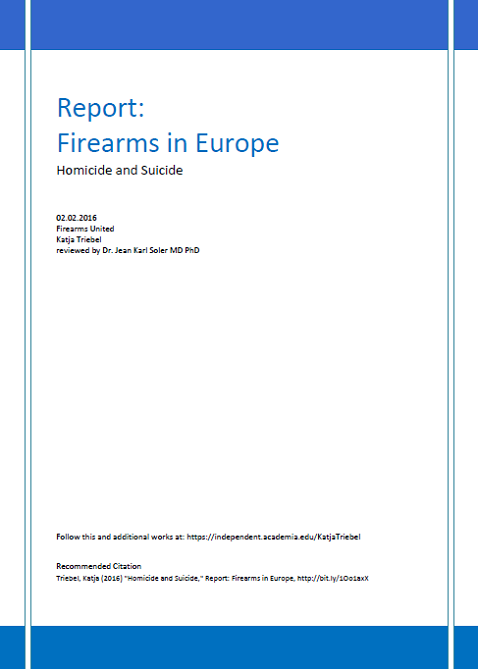 In certain Member States, a majority of homicides have been committed with legal firearms.Moreover, there are nearly half a million firearms inside the EU which have been registered as lost of stolen from the mid-90s up to 2014, and which remain unaccounted for.The report also highlights the risk of conversion of alarm weapons and the fact that certain semi-automatic firarms are particulary dangerous and can be transformed into automatic firearms. 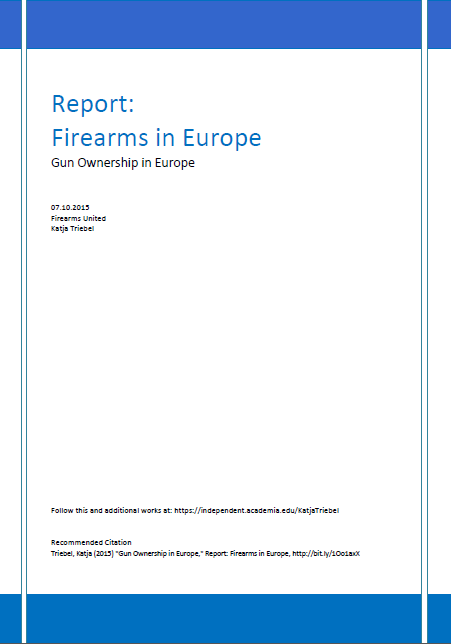 FIREARMS UNITED showed in its “Gun Ownership in Europe” in chapter 2.2.3.3. Former legal stolen guns with two Swedish studies and official data by the German government that most of the reported firearms and parts are not stolen, but inventory losses of the firearms registries. EC’s argument “the fact that certain semi-automatic firarms are particulary dangerous and can be transformed into automatic firearms” is invalid. Since December 2014 nothing has changed in data. 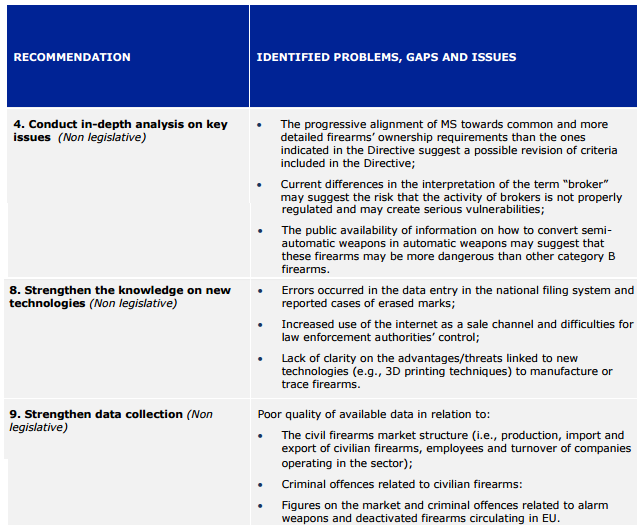 There is no new in-depth analysis with impact assessment for semi-automatic firearms or their so called “dangerousness”. 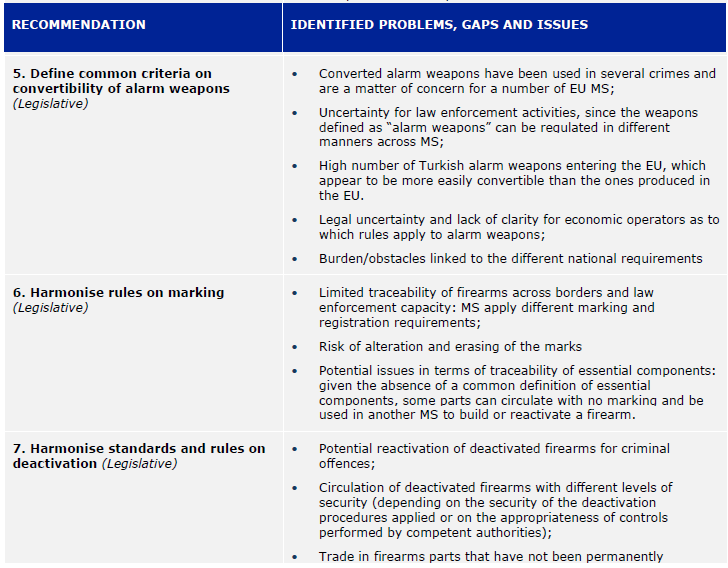 The statement “some semi-automatic firearms can be transformed to automatic firearms” is true for a few firearms of category B7 and other firearms of category B. Without data of misuse no type of firearm should be labelled as “most dangerous”.